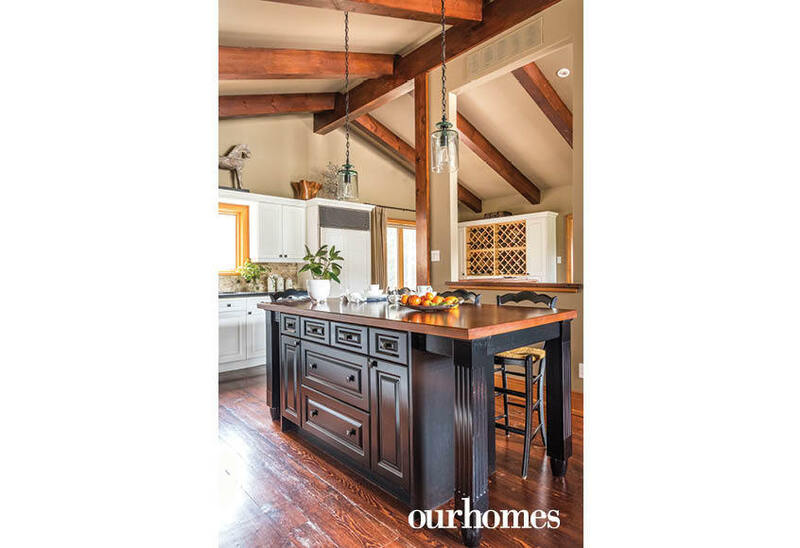 This dated ski chalet has been a great investment and it shines in its new design. 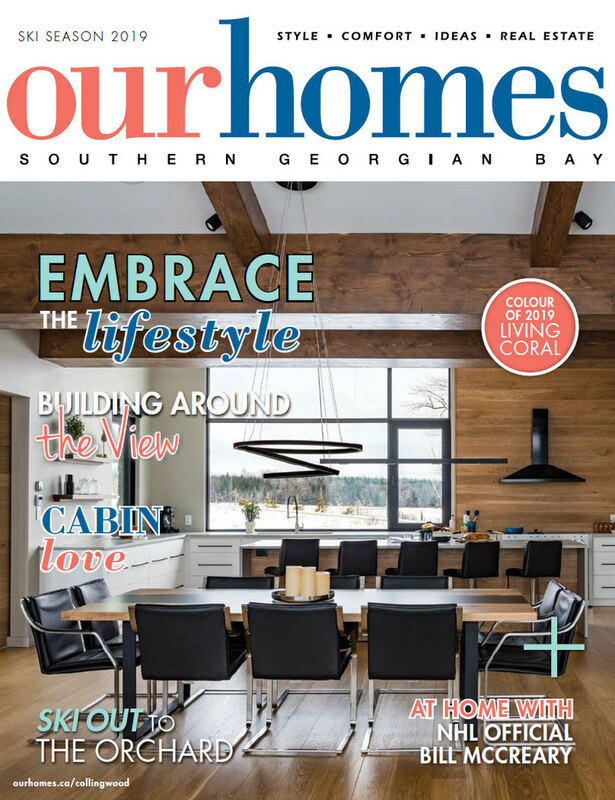 A version of this article originally appeared in the Ski Season 2019 issue of OUR HOMES Southern Georgian Bay, p.68. Find local businesses in our Southern Georgian Bay directory. Swiss-style ski chalets dot the landscape around Blue Mountain near the coast of Georgian Bay, many built during the 1960s when the economy was good and the skiing even better. Known for their gabled roofs, wide eaves, balconies and exposed beams, these chalets can still be found super close to the slopes. 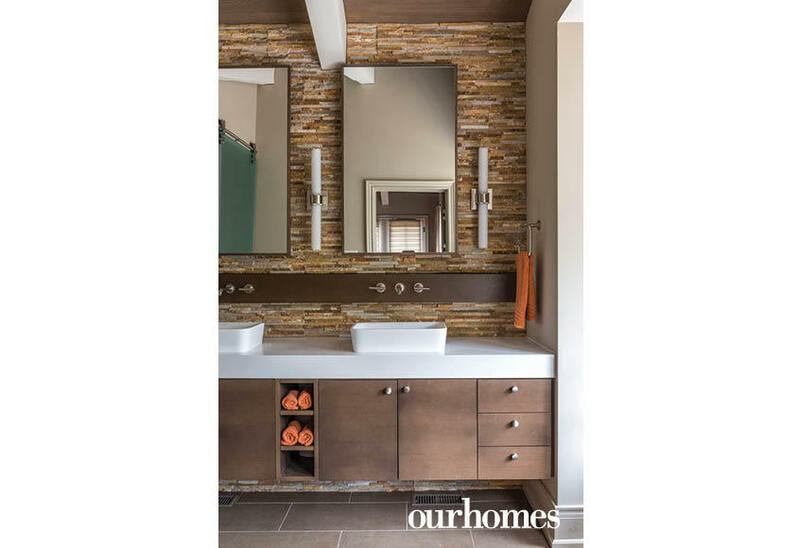 In other words, if you can find one for sale, and you have the budget and the resolve to renovate – buy it. That’s exactly what the owners of this totally transformed Swiss chalet did, purchasing the slope-side property on a wide court within walking distance of The Orchard in 2010. 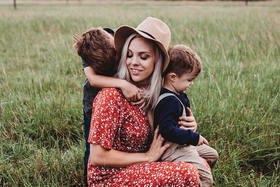 Patrick and his team, along with designer Jan Speziale and the design team at Barnard & Speziale, worked on two distinct renovations – the first in 2010 and a second phase beginning in 2014. 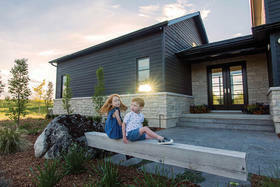 “You cannot tell now that this is not a new construction house inside or outside,” he says. In phase one, the shape of the roof was reconfigured, the kitchen was updated, the staircase was changed and the master suite was reshaped. 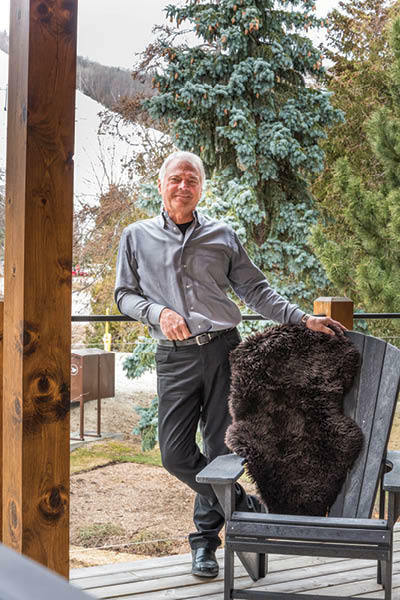 “We did all of the washrooms, built new fireplaces and refinished the outside of the building and then added the feature windows,” adds Patrick. 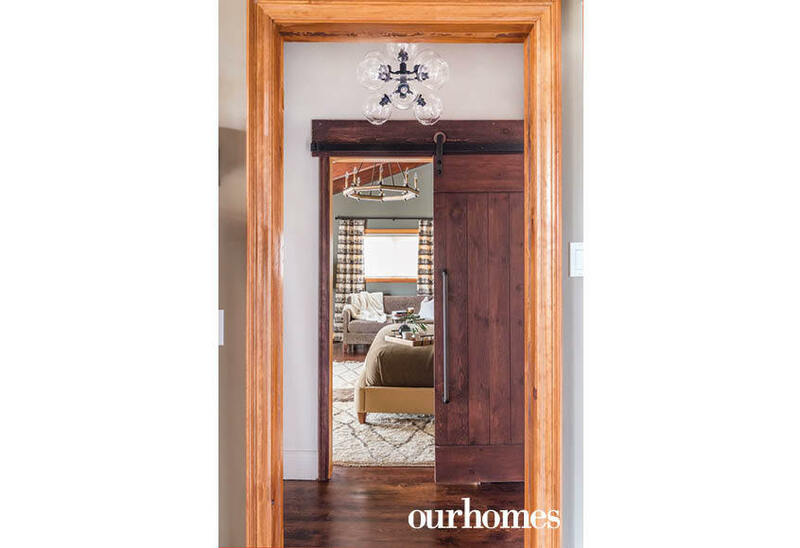 The second phase in 2014 added a new master bedroom suite with a private balcony, a new guest en suite and powder room upstairs and a party room/theatre, bar and spa bathroom on the ground floor. 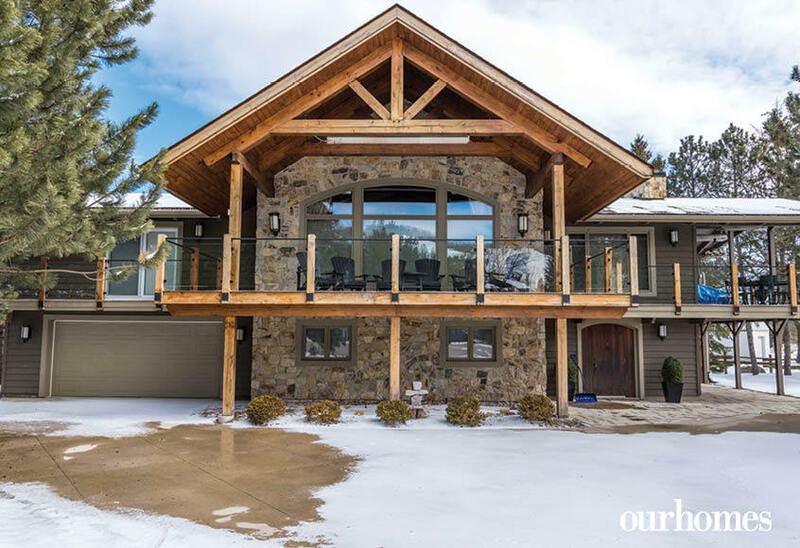 With a reconfigured roof line, stone facade and new windows, this rejuvenated chalet is being enjoyed and loved by a new generation. 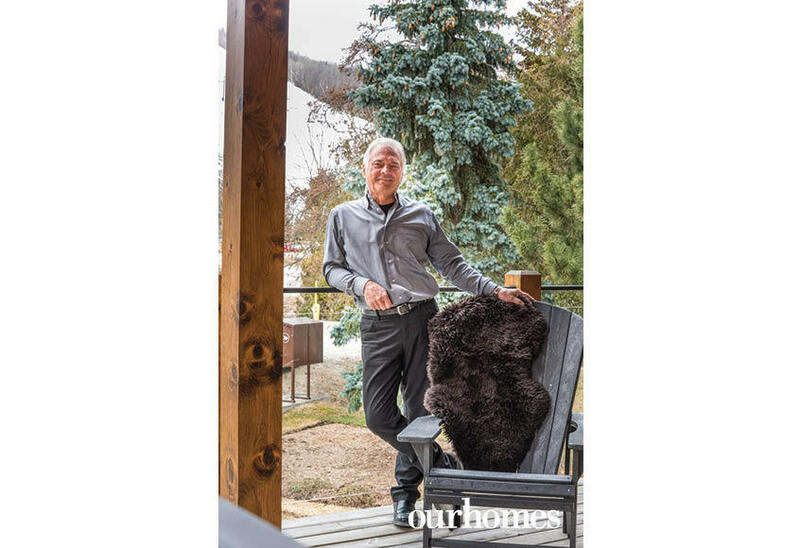 Builder Patrick Coulter of Patrick B. Coulter & Associates enjoys the view of the ski hills from the heated front deck. 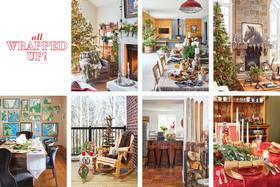 Designers Shannon Reeve and Jan Speziale of Barnard & Speziale by the concrete fireplace on the lower level. Seagrass wallpaper adds another element of texture on either side of the dry-stacked fireplace. 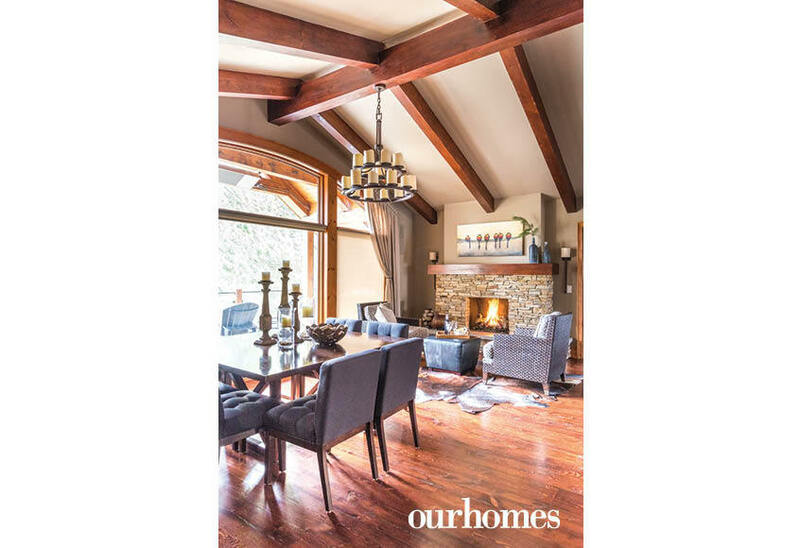 On cold nights, lots of cosy seating makes this room a favourite gathering spot. 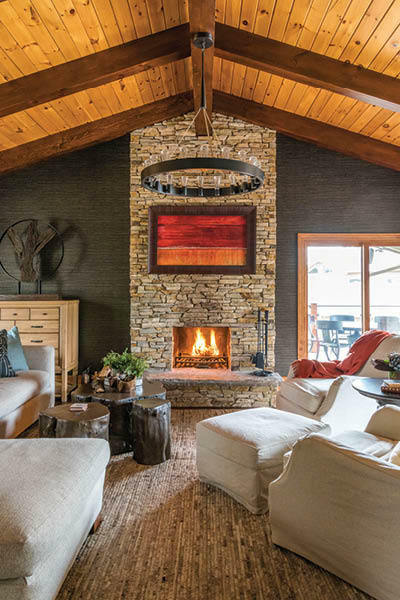 With large glass doors to the deck, the view to the slopes can also be enjoyed by the fire. 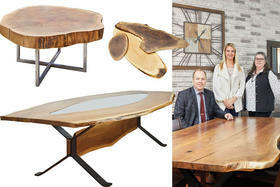 In the dining area, the two-by-two seating at the dining table keeps dinners intimate and engaging. 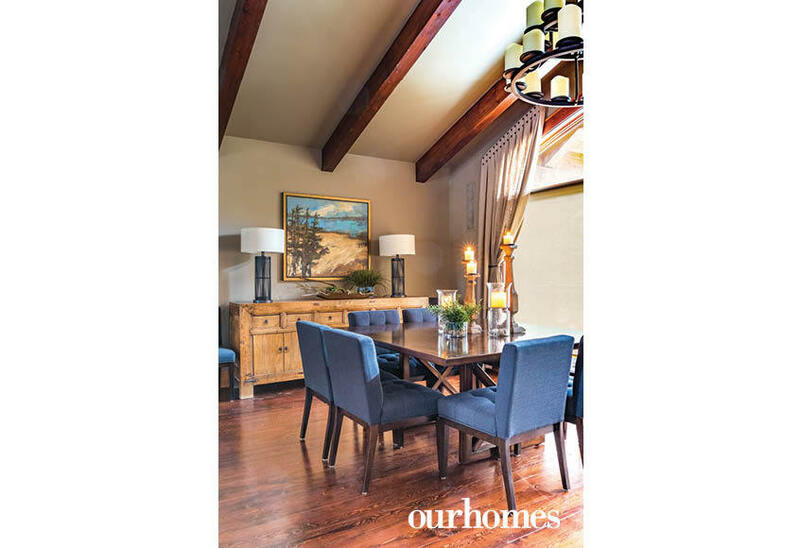 Touches of blue highlight the rustic backdrop of the room. 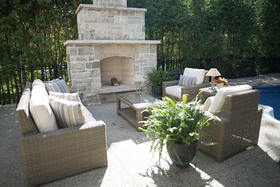 There is a comfortable spot by the fire, beside the kitchen, to have morning coffee or perhaps a fireside dinner. A cowhide rug covers the area. 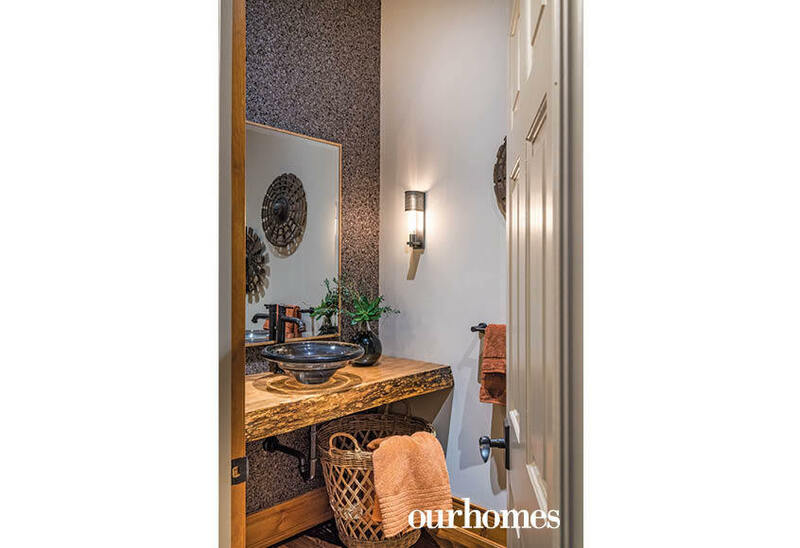 The new powder room on the second level is lined with cork wallpaper. 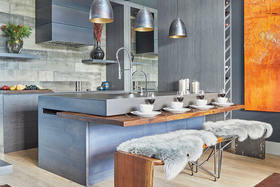 The live-edge counter with the glass vessel sink adds lots of visual interest in this small space. 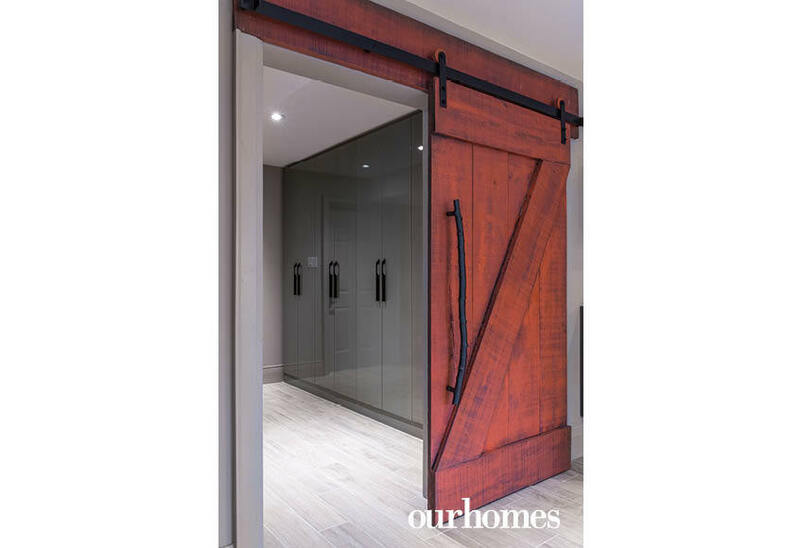 The barn door offers a peek into the original master bedroom, which is now a luxurious guest suite. A guest bedroom en suite has flat-panel cabinets with hidden closures that surround a window and take advantage of all available wall space. The king size bed is balanced by the feature wall of leather and white oak. 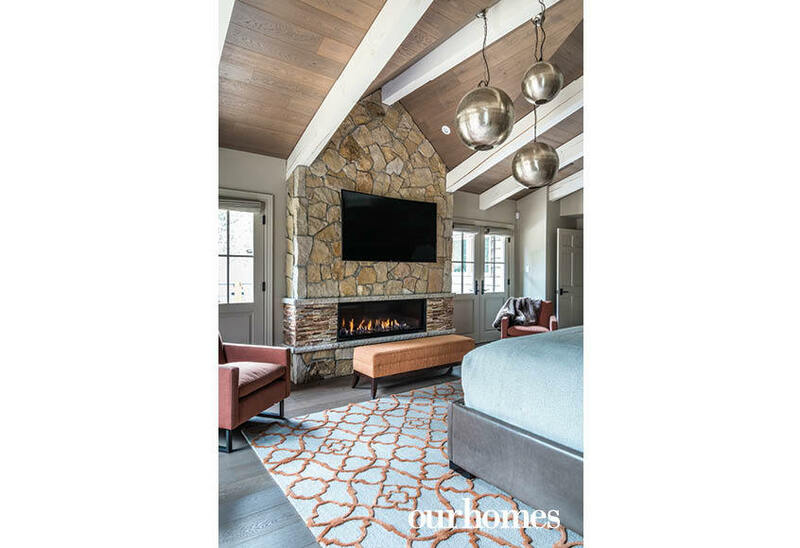 Burnt orange is used as an accent colour in the pillows, occasional chair, table lamps and the bench in front of the fireplace and entwined through the area rug. 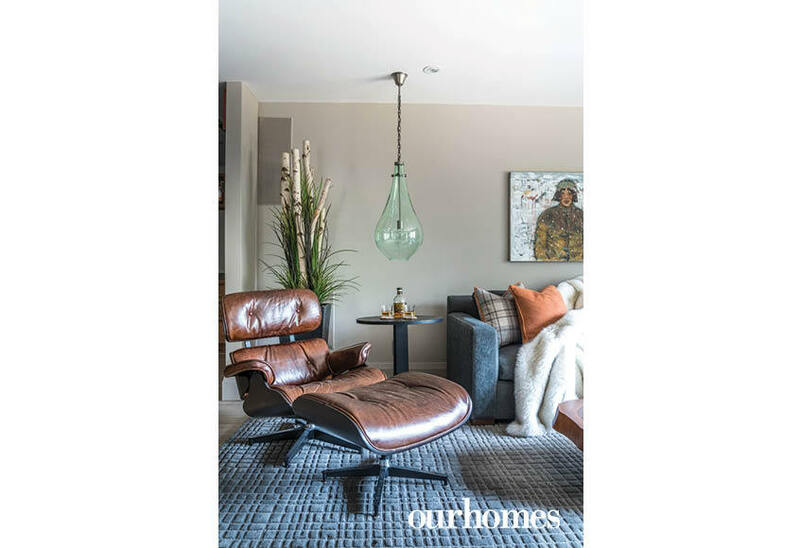 Three pierced metal globe pendant lights of different sizes hang at different heights above the master bed. Contrasting stone work on the surround in the master bedroom frames the linear gas fire and gives balance to the television above. 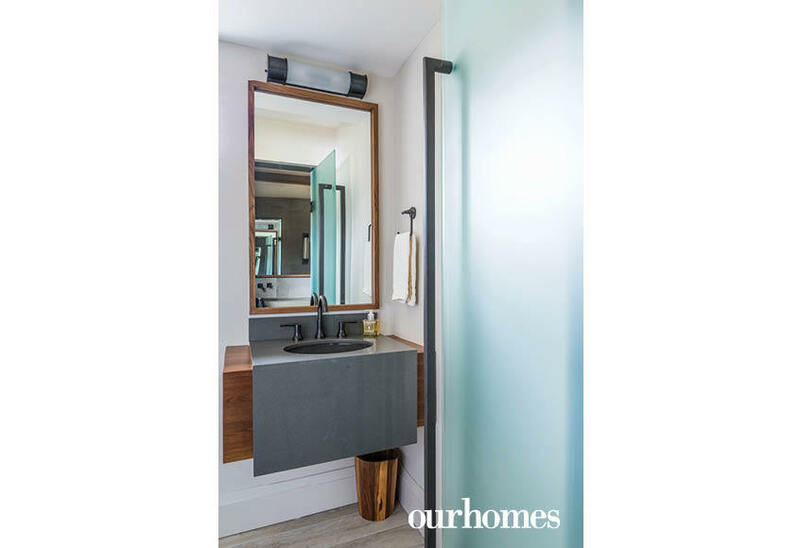 The floating double vanity in the master en suite has wall-mounted taps that keep the counter space clean and clear. 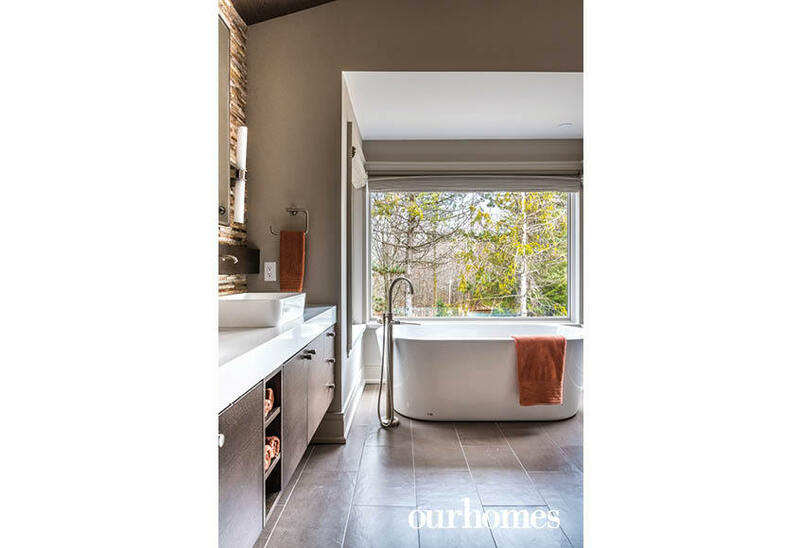 The free-standing bathtub sits in an alcove and is surrounded by windows that capture the older trees surrounding the house. A new stairway leads from the front entrance to the upper level. At the top, the double width entrance to the living room is revealed. The vintage Eames lounge chair is a comfortable spot to enjoy a drink of Scotch from the owner’s collection. 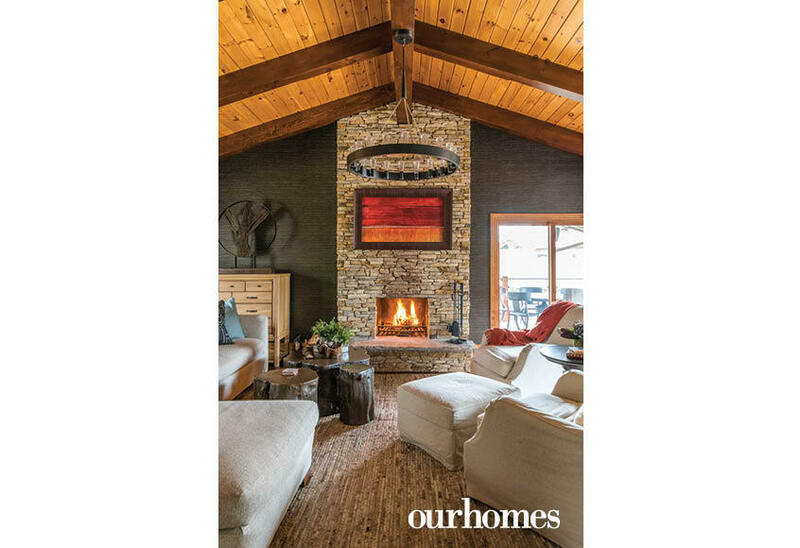 Made of concrete, the contemporary gas fireplace sits between doors to the sunroom, which houses a ping pong table. 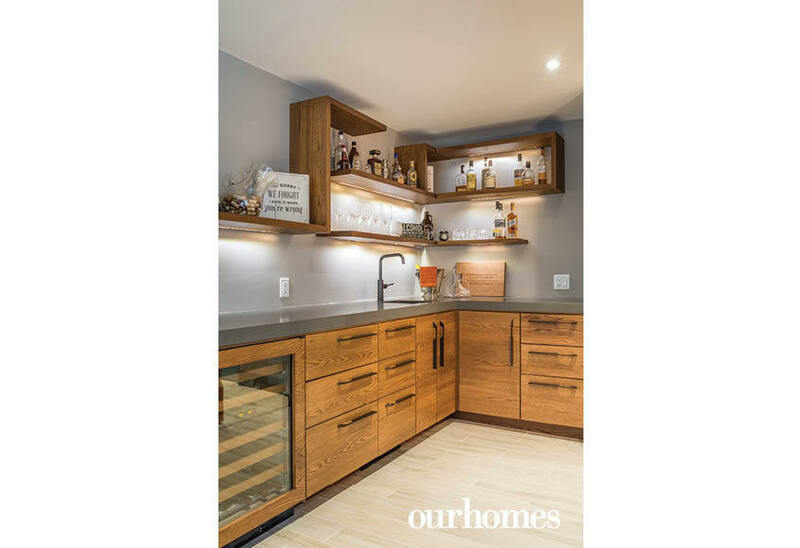 The wet bar in the family room is neatly tucked into a corner and has lots of counter space for mixing cocktails and nibbles. 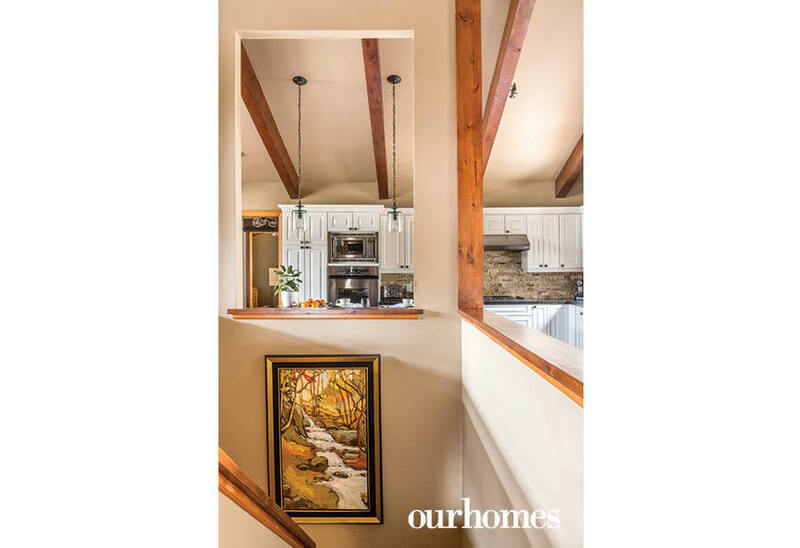 All of the concrete and millwork in the lower level was done by Verge Select, including a half waterfall of concrete with a raw edge on the bar. 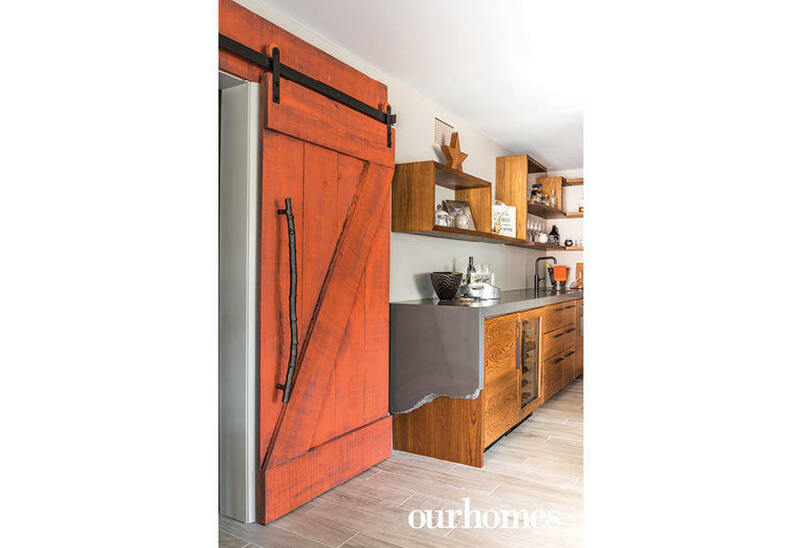 Another red sliding door leads to the garage entrance and a wall of closets for storage. 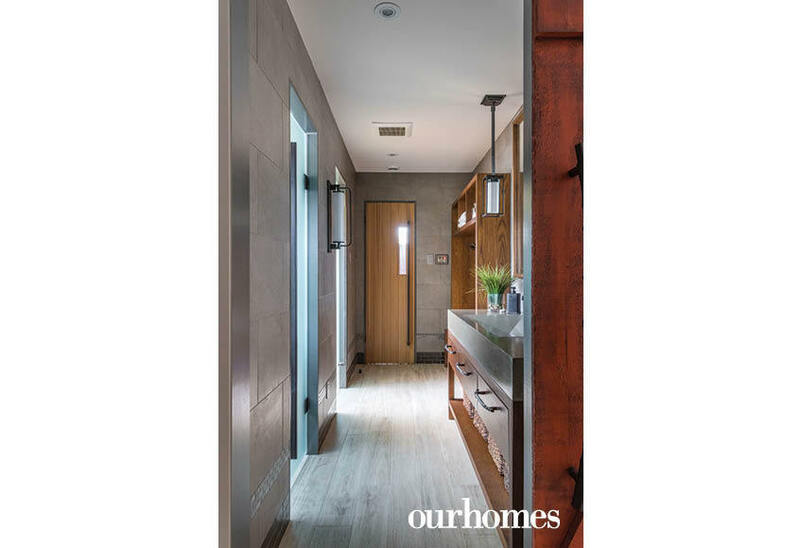 Looking through the red sliding door into the spa area of the house, a sauna is at the far end along with built-in shelving to hang bathrobes and towels. 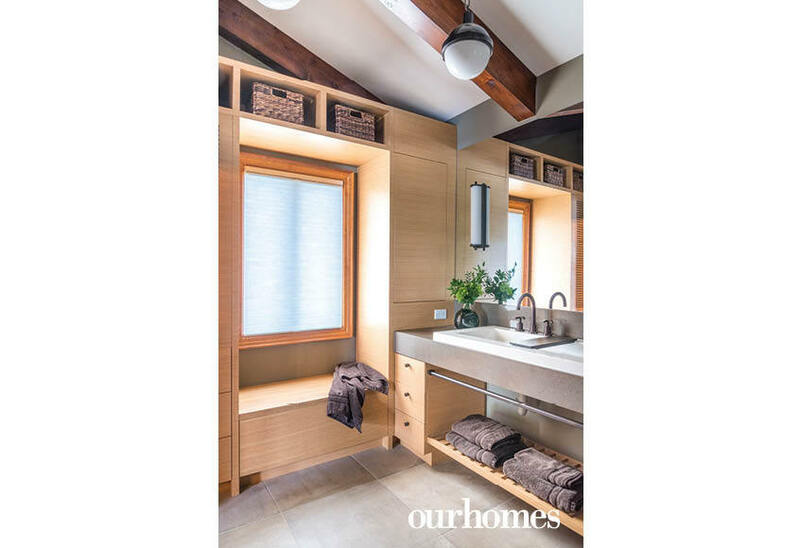 In the spa area of the newest addition, a concrete and wood vanity was designed and manufactured by Michael Curtis of Verge Select.